• Mayor Anne Hidalgo recently announced that public transit in Paris would be free for children and individuals under 20 years old with disabilities. • Equitable public transportation is a step in the right direction for addressing income inequality as well as the environmental harms of transportation. Will other cities follow suit? • Read about the future of urban transportation. Paris Mayor Anne Hidalgo announced that the city’s public transportation and bike share system will be free for Parisian kids to use, Fast Company reports. The measure could make traveling around the city easier for low-income families, empowering them to access better education and economic opportunities. 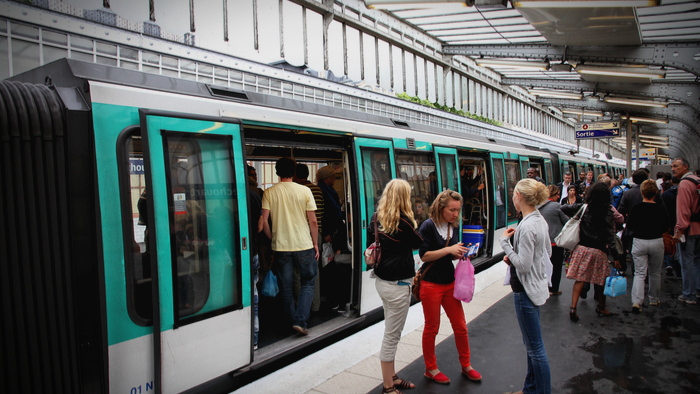 Beginning Sept. 1, 2019, Parisian kids aged 11 and younger will be able to ride the Metro, bus, and regional rail at no cost, and older youth will be reimbursed 50% of their fare. Meanwhile, Paris’s bike share system, Velib, will be made free to anyone 18 and under. Hidalgo’s new policies will also make public transit free people under the age of 20 living with disabilities, which could be have a major impact on low-income families since people with disabilities are more likely to be classified as low-income. The plan originally emerged as a way to curb pollution from fossil fuels and increase biking in the city. But for low-income families — who are often more vulnerable to air pollution — the policies’ environmental benefits go hand in hand with economic ones. As cities face intensifying environmental and economic challenges associated with climate change and income inequality, resilient and equitable public transportation must be prioritized. Interested in learning more about Civil Society? Other readers at Giving Compass found the following articles helpful for impact giving related to Civil Society. If you are looking for opportunities to learn and connect with others interested in the topic of Civil Society, take a look at these events, galas, conferences and volunteering opportunities aggregated by Giving Compass.